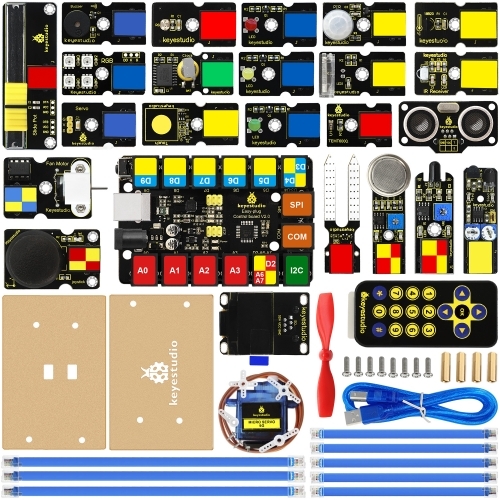 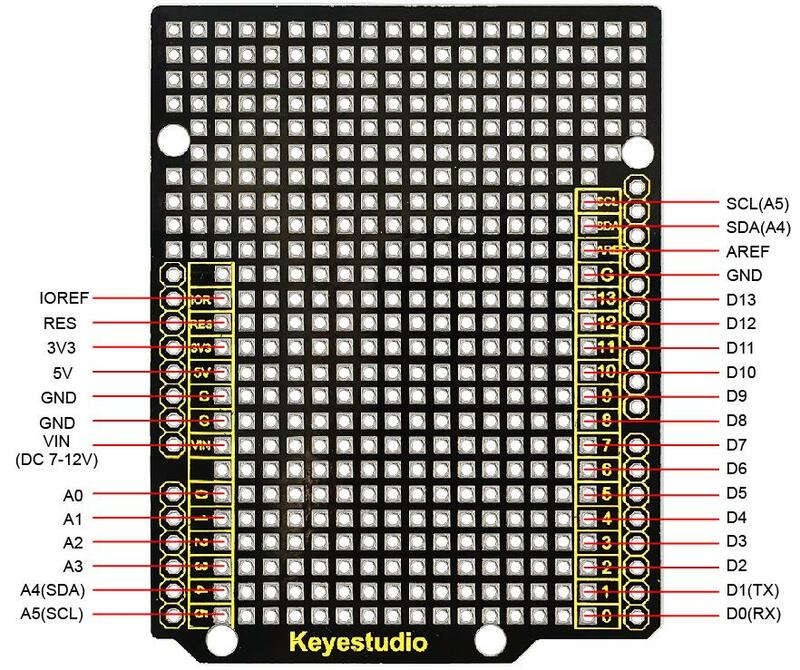 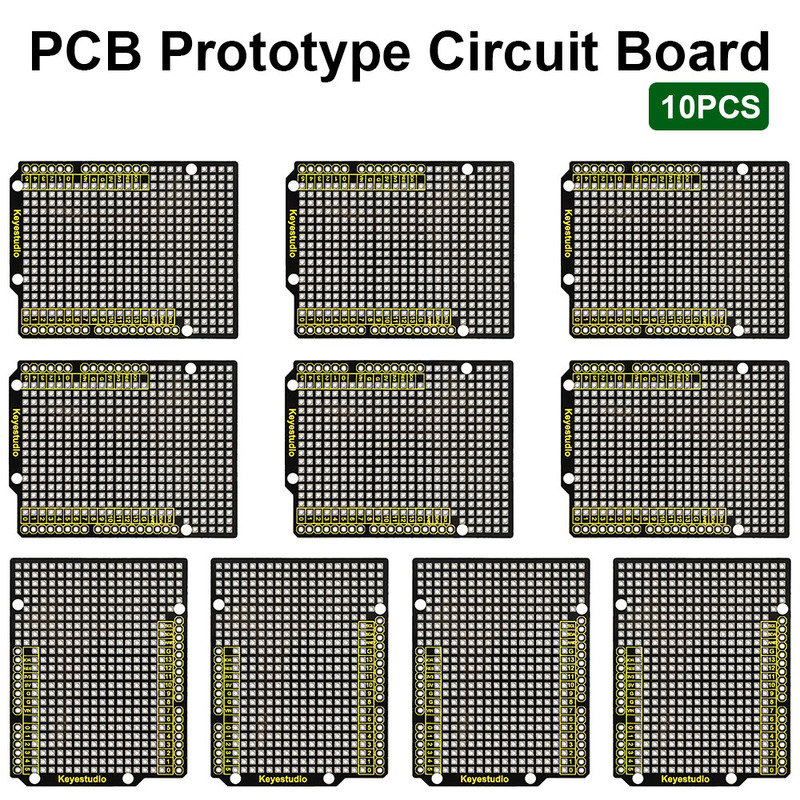 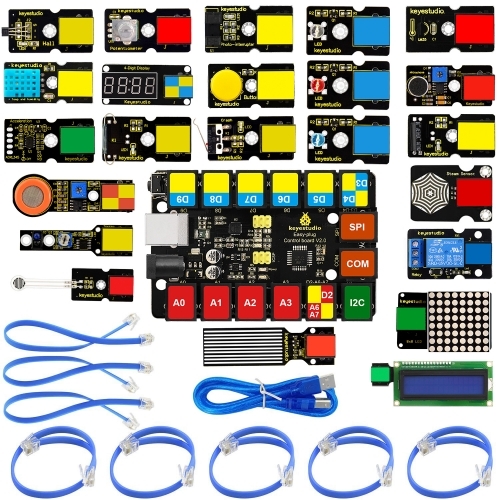 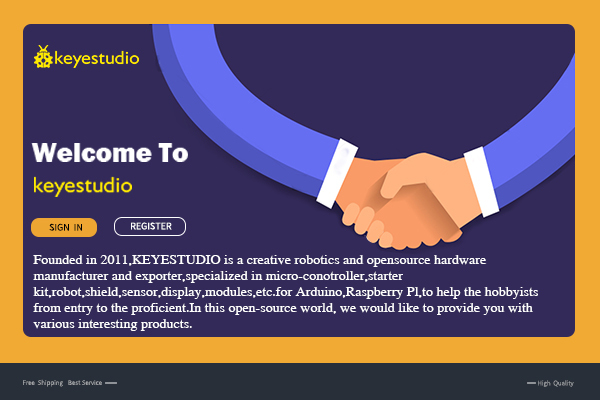 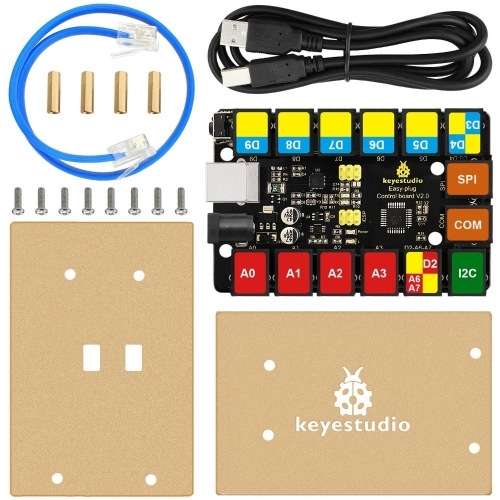 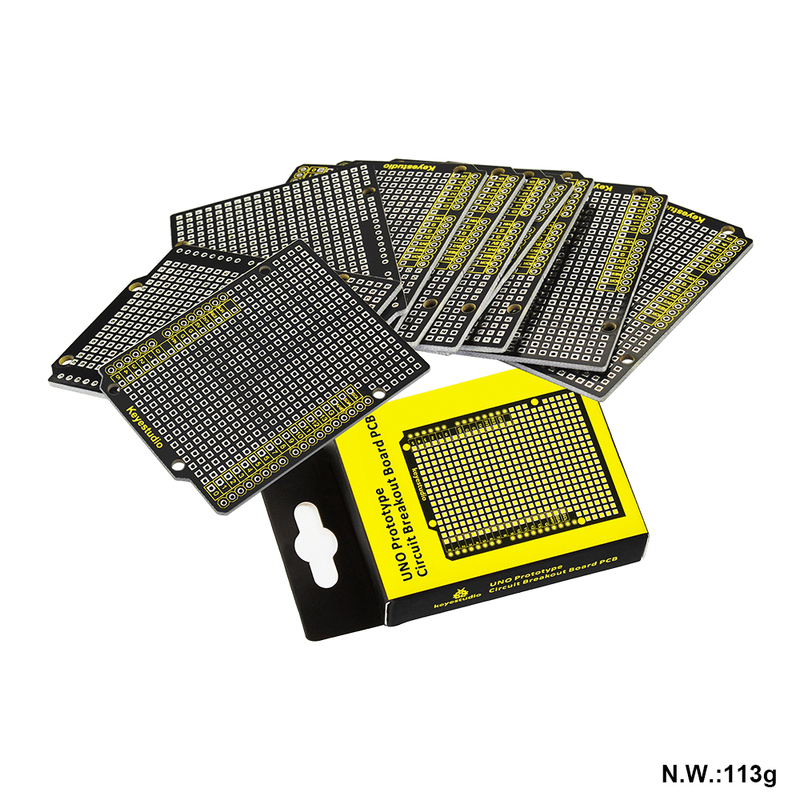 This kit includes 10 PCS of keyestudio UNO prototype circuit board PCB. 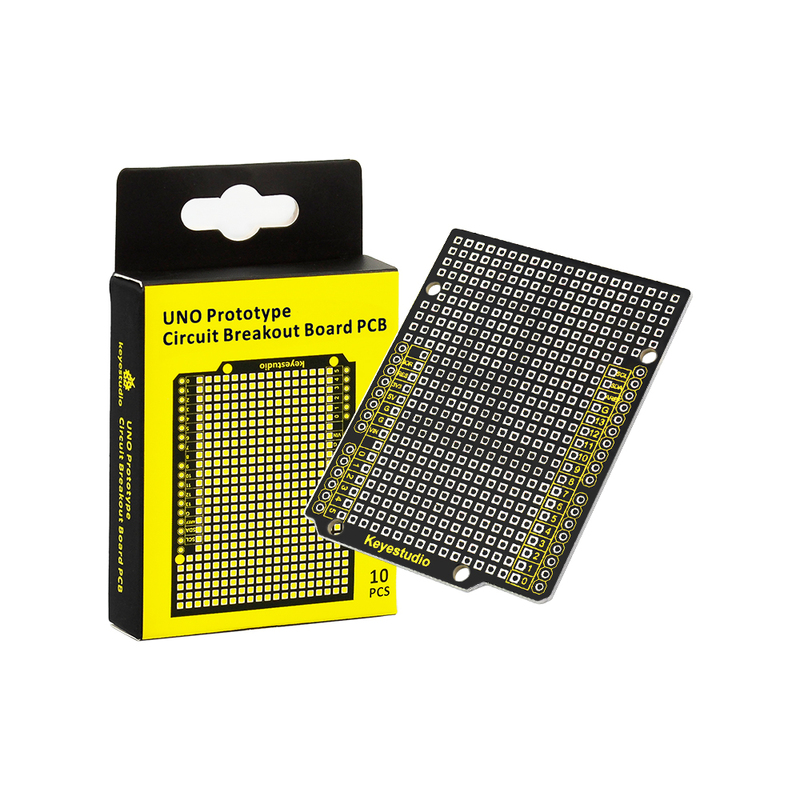 After solder the pin headers of 2.54mm pitch on the through-holes of PCB, you can seamlessly plug it into UNO R3 controllers. 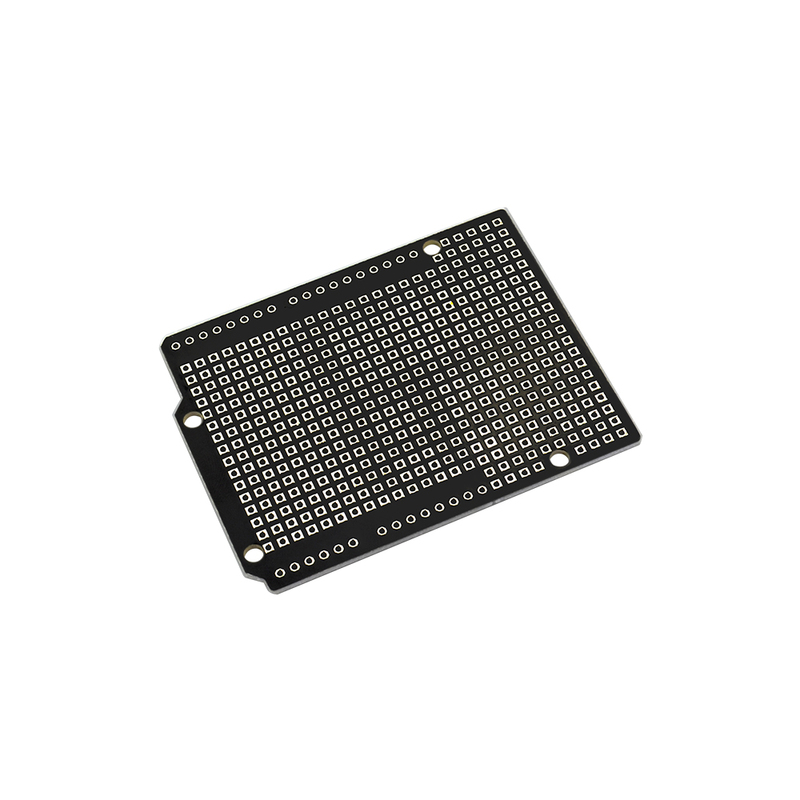 It also comes with four 3mm fixed holes for you to tightly mount it.